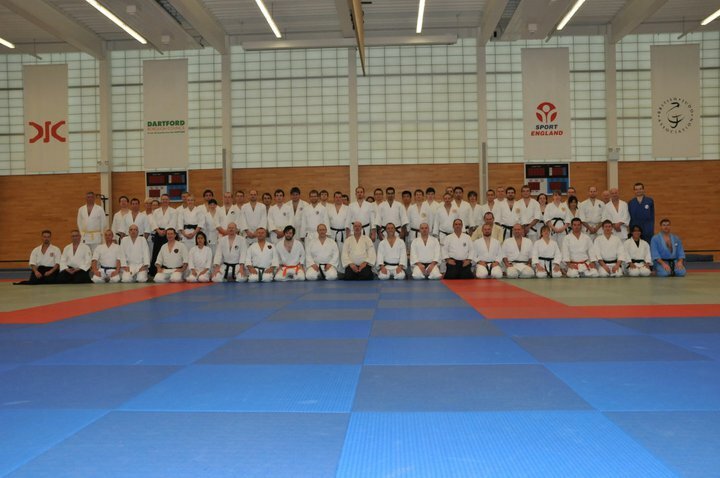 This weekend, Meikyokai dojo played host to us for this year’s Robert Mustard Sensei seminar in Dartford. 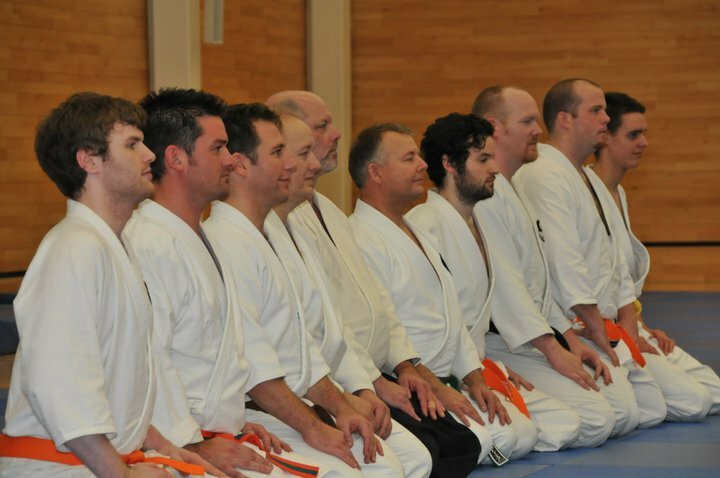 The event was held an the fantastic Dartford Judo Centre. What a great venue (sunken mats over fully sprung floor). 14 of us from Dover, Ashford and Cheriton dojo went up this year, many of whom were to experience Mustard Sensei’s aikido for the first time. Having had the pleasure of taking lots of ukemi from Mustard Sensei this weekend, what stood out for me every time, is how soft his application of techniques are yet the resulting power is incredible. It’s the best example of aikido I have ever seen. My opinion, which is based solely on the two seminars I have attended, is that Mustard Sensei’s cruel and sadistic reputation gained from Robert Twigger’s famous book Angry White Pyjamas 18 years ago, could not be further from the truth. He was at all times jovial, very friendly and could not have been more accommodating to my frequent (at least 20) pestering requests for him to throw me. I think it’s safe to say we all had a fantastic time over the weekend, with great training, lots of refreshing beverages consumed on Saturday night, followed by more great training Sunday. It was great to see folk from last year’s seminar and to make new friends alike. Big thanks go to firstly to Robert Mustard Sensei for coming over the pond, sharing his knowledge and for being so helpful and inspiring – Osu! and to Neil Saunders Sensei for arranging the weekend and making our guys feel so welcome. We arranged for our very own photographer, Steve Toh to capture the event on Sunday. Many thanks to Steve for that. If you enjoyed the seminar, please make sure you leave a comment on here or on the seminar and BAB Facebook pages. If you are ever offered the opportunity to attend training with Mustard Sensei, I recommend you grab it with both arms, you won’t regret it.